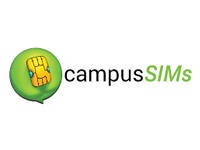 CampusSIMs provides mobile service for international students studying in the U.S. The company operates on America’s fastest 4G/LTE network and delivers reliable and affordable wireless service to its end users. CampusSIMs is based in Boston, MA.